Regular readers of my blog will know that I’m an enthusiast for Shamrock in the Bush, held annually at St Clement’s Retreat Centre, Galong, about two hours west of Canberra. 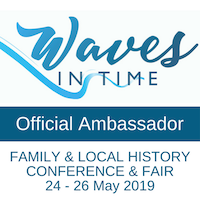 It’s not a traditional family history conference but if you have an interest in all things Irish you will be bound to have a great time. The weekend is full of great talks, great music and wonderful camaraderie. This is a conference like no other I’ve been to, which is why I trek nearly 4000kms to attend. This year’s program has just been released and you can see it here. There are limited places, and registration is always competitive, so if you’re interested you need to move quickly. Shamrock 2012 is being held from Thursday 2 August to Sunday 5 August. I for one am really looking forward to it. Oh, and if you go, make sure you pack your woollies because it gets very cold outside though the rooms are delightfully warm. Last week I proposed a bit of fun and frivolity for May, after the serious posts of April. My proposal was that anyone was welcome to join in the Merry Month of May Music Meme. Here are the responses to date. There were lots of fun memories in people’s responses and lots of “blast from the past” moments. Check them out…they’re fun. Thanks everyone for joining in! I certainly had a ton of fun. If I’ve missed anyone somehow please leave a comment and I’ll remedy my mistake. If you’d like to join in with your own memories, please do so, I’ll post periodic updates to the list: the more the merrier. Seeking Susan ~ Meeting Marie ~ Finding Family took the opportunity to write on the themes, a fun one here and an evocative one here as well as her summary. Do check out Amayezing’s response in the comments on this post: an interesting perspective from growing up in the bush. And in case you missed it, my own response is here. It seems to me that poverty was much more harshly judged in the United Kingdom than it was in Australia where it took little for a poor season (those droughts or flooding rains) or lack of family support for people to find themselves in desperate situations. I thought it was one of the great strengths of the Kerry O’Brien WDTYA episode that his family’s terrible living conditions in Sydney weren’t swept under the carpet. It’s probably safe to suggest that people living in poverty in England, Ireland, Scotland or Wales were at least as badly off. Their poverty was also perceived to be a symptom of their own mistakes (drinking, bad judgement, profligacy), lack of hard work and ignorance. So where do you look if you know or suspect your ancestral families found themselves on the downswing of the economy, or if you’ve found them listed as a pauper in the census records, for example? Yes, perhaps the very poorest would not be found in these records, but they might also be the first clue that not all is well in their world. I’ve found mine listed in indexes, Government Gazettes, court documents and newspapers. Once you’ve located them here, you know to investigate the local or national archives. I plan on talking more on this in another post so won’t go into detail here. The gateway for workhouse information and records is this site: The Workhouse by Peter Higginbotham. Here you will find background information about the legislation underpinning the implementation of the workhouse system and how they function. It also offers the opportunity to look at specific workhouses, their layout, a description and perhaps a photo, and surviving records. My McCorkindale 2 x great grandfather, James, died in the Smithston workhouse at Greenock and this website provides a wealth of information about where he would have lived in his final years. James’s younger daughter,Euphemia, also entered the poor house and died there shortly before him. I ponder over James and wonder why the other members of the family didn’t take him and Euphemia in. I suppose their commitments to their own children made it difficult. Some had already emigrated, and others have vanished “into thin air”. Perhaps James had dementia and as Euphemia became sick she was unable to cope with looking after him. Perhaps no one cared? Unfortunately the workhouse site suggests some of these records for the Gourock workhouse may be available in Glasgow, but this is uncertain –something to follow up on another trip. I don’t know about you but I find meetings the epitome of boredom most of the time, but these minutes are something you will definitely want to look for if you have workhouse ancestors, either as paupers or workers. Keep your fingers crossed and hope that your ancestor has done something to get a mention: been a troublemaker, an emigrant, matron or doctor, or just sat on the Board himself. Certainly our hunt for something, anything on my husband’s ancestor, Irish Famine Orphan Biddy Gallagher/Gollagher was unsuccessful in Donegal…if you don’t try, you don’t know. It is absolutely critical when looking into workhouse records and Board of Guardian documents that you know which Poor Law Union your ancestor’s parish belonged to. For example, many of the south-east Clare parishes actually belong to the Limerick Union or the Tulla union, while those from the north-east likely belong to Scarriff. If you’re not sure, you can find Clare Poor Law Unions here (click on each union to see which parishes are included) and the survival of records here. I just happened upon this book called Pauper Limerick: The Register of the Limerick House of Industry, 1774-1793. It suggests it’s of relevance to genealogists with ancestry from Clare, Limerick Tipperary or Cork. Depending on the country, the implementation of the new poor laws will vary but is approximately mid-C19th. Prior to that the parish took care of the local poor (hence the emphasis on settlement issues). So you really need to look at the parish records (not the parish registers, though it’s possible you may find a passing reference there). Check out what’s available on Family Search for your parish, and look beyond the registers. In Scotland, you’ll also want to look at the Kirk Session records, as it in these that you’re most likely to find some information on your pauper ancestors. I have used the Inishail records and talked about them last year here. One day, in the not too distant future, it appears these will be available online. When that happens I do hope that every name is indexed because while the topic of the day may be about inappropriate behaviour in the parish, you’ll find that when others recall the event they may date it by reference to another’s death or roup, the sale of personal belongings, the proceeds of which for a pauper were paid back to the parish. It would be possible to talk for hours about my own experience with just this one parish’s kirk sessions. I just loved exploring these in 2010 at the Scottish National Archives, and I can’t wait until they release the digitised versions even if it is my combined birthday, anniversary and Christmas present. For a slightly different perspective, Susan from Family History Fun has also talked about Scottish poor law records here or this post by Heather Pringle on Edinburgh’s workhouse and her family. Audrey Collins from The Family Recorder also writes on this topic here. No doubt there are many others addressing this issue. Audrey Collins from The Family Recorder mentioned Podcasts by Paul Carter which address the issues of the Poor Law and the workhouses in England and Wales. Definitely well worth downloading a few and learning more…I certainly plan to. Last year I read a book called The People of the Abyss by Jack London describing the precariousness of life for the poor and labouring classes. At times the tone was somewhat supercilious but it did give a good indication of just how desperate life could be for the poor and labouring classes. I hope I’ve given you some food for thought and research into your poorer relations. If you have already used these records, please share your findings with us. [i] BG/EN16 Board of Guardian minute books Ennis Union, Meeting 5 January 1850, page 160. [ii] Meeting 8 January 1850. [iii] Meeting 24 November 1849, page 53. [iv] Meeting 13 March 1850, page 288. Earlier this week I received a google alert highlighting an Inside History article on blogging by Jill Ball (aka Geniaus). 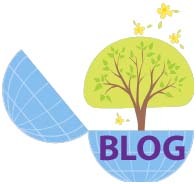 Now the fact that Jill was writing about blogging would come as no surprise to any of us but what astonished and delighted me was to find that my own blog rated a mention in her Top 50 blogs that she follows. I was extremely chuffed to be included and thanked Jill immediately via Twitter. 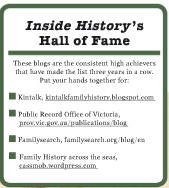 When there are so many interesting blogs in the blogosphere it’s truly a privilege to be highlighted so I thank Jill and Inside History most sincerely. Jill wrote a blog post yesterday mentioning other blogs that she liked but hadn’t been able to include in her Top 50 (I’d imagine it must have been pretty stressful figuring out the short list). Like Geniaus I’m very conscious of how much wonderful work is being done by fellow family historians. The diversity and depth of research is both impressive and inspiring and it seems every week that I add to my blog reading. Sharing a sense of community has been an important benefit of blogging for me, given I live a long way from where the action is, so to speak. 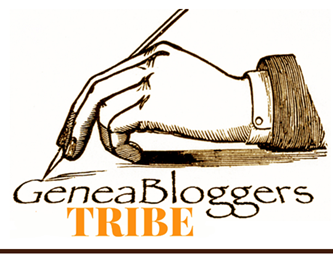 I truly value the genea-mates I’ve made through blogging and love sharing views with them in comments. Fellow bloggers are transcribing and interpreting family diaries, analysing local histories, telling heartfelt family stories (recent and from the distant past), documenting cemetery photos, and sharing news information about important genealogy events world-wide or in specific countries or counties. In short, lots of people are sharing their love of family history with the world. I’m nowhere near as brave as Jill, so I’m not even going to attempt to shortlist my favourites. Instead I’ll refer you to my Blog Links page which includes some of the blogs I follow through Google Reader. Please pop in and have a look at some you don’t already follow and say g’day, they all deserve your support and enthusiasm. Oh and by the way, why not join in the fun and post your response to the Merry Month of May Music Meme (let me know by posting a comment). 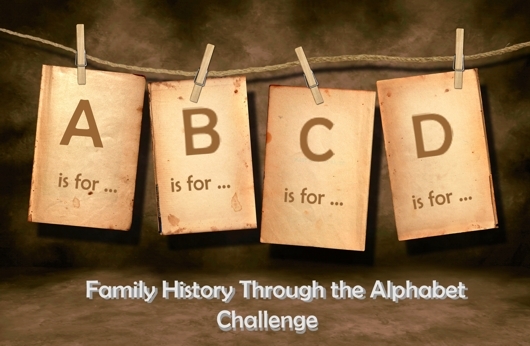 When Alona Tester from Gould Genealogy first raised this Family History through the Alphabet series, I thought it was a great idea but had run out of puff a bit after the April daily A to Z challenge. Now that I’ve regrouped I thought I’d take up this weekly series. After some “R for reflection”, I decided that my theme would be the Attributes we need as family historians. So without further ado, here are my “A” entries. A is for Application: family history is about 5% luck and 95% application. Or as a fellow researcher in Darwin says “the harder I work, the luckier I get”. A is for Accuracy: our goal as researchers is to be accurate in documenting the information we find, and amend or add if new information comes to hand. A is for Acknowledgements: we need to formally recognise the work of those who go before us, those random acts of genealogical kindness, or the assistance others give us along the way, with data, photographs, writing etc. What “A” attributes do you think we need? Thanks to Alona and Gould Genealogy for the inspiration of this series. Since the whole point of this is to have fun, retrieve memories and generally chill out (very 60s! ), feel free to amend/add/subtract. I’m not even going to ask you the usual checklist of have done, want to do, don’t want to do. If you feel the urge, go ahead, you know how it works. And, geneabloggers, yes there is still family history value in this: give your descendants a laugh, let them get to know you with your hair down. Song(s)/Music from your childhood: Mum singing Turaluralura, that’s an Irish lullaby; Mum singing around the house, Dad signing in B flat but trying bush ballads; my grandmother playing Scottish music on the gramophone. Song(s)/Musos from your teenage years: The Beatles, Elvis, Rolling Stones, Monkees, Bob Dylan, Herman’s Hermits, Acker Bilk, Dean Martin, Cat Stevens, Beach Boys, Mamas & Papas. Songs your parents sang along to: I’ll take you home again Kathleen; Old Man River, Danny Boy, Aussie bush ballads…..
Did you have a musical instrument at home: No, I learnt the piano briefly and played at the neighbours: we used to have chopsticks-playing speed competitions. 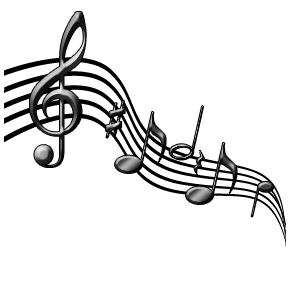 What instruments do you play (if any): None, sadly for me, happily for my listeners. What instruments do you wish you could play: Bagpipes, fiddle, guitar (in that order). Romantic music memories: Making my mother-in-law cry with Mozart’s 21st as I walked down the aisle at our wedding; listening to A Woman’s Heart for the first time in Dingle; our daughters’ music compilation for our 40th anniversary. Favourite music genre(s): Classical, light opera, world, with a dash of 60s pop. Favourite classical music song(s)/album: The Swoon Collection III, Vivaldi’s Four Seasons. Favourite world/ethnic song(s)/album: A Woman’s Heart (love the Caledonia track), any/all of Mary Black’s albums; any/all of Capercaillie’s albums; Geoffrey Gurrumul Yunipingu’s Gurrumul, especially the tracks in language. Favourite jazz song(s)/album: not really into jazz but willing to be converted. Favourite country or folk song(s)/album: Sara Storer (especially Billabong, Tell These Hands, Raining on the Plains, Boss Drover’s Pride, Katherine); The Rankins Endless Seasons; Former NT Administrator Ted Egan’s songs on Australian and Territory history; Graeme Connor’s North album for its North Queensland influences. Favourite sounds tracks: Mad Hot Ballroom (an inspirational doco on New York school kids in a dance competition); No Reservations; Top Gun (oh, yeah, love those songs). What music do you like to dance to: Hmm, I married a non-dancer, but folk music or 60s. I did the twist at my daughter’s wedding with my girlfriends and man, did my legs pay for it the next day! Oh yes, and I forgot the Hucklebuck. At uni, I used to do ballroom dancing two or three nights a week. 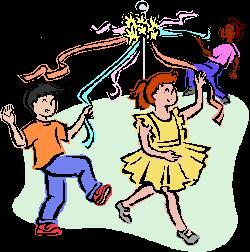 What dances did you do as a teenager: jive, twist, rumba, cha-cha etc etc. Do you use music for caller ID on your mobile: for my nearest and dearest (very handy) and on the house phone, for friends except for those pesky private numbers. What songs do your children like or listen to: Popular, Country, an obsession with our old “Summer Holiday” LP, anything and everything. Favourite live music concerts as an adult: Paul Simon’s Graceland concert, Guinness Irish concerts, Neil Diamond. Silly music memories from your family: “take me home west virginger (Virginia)” (she was only 4); the look on the same daughter’s face when the rest of us came back from a Territory holiday singing country; belting out “riding right on into Queensland” (Ted Egan) at the end of a very very long drive. Pet hate in music/singing: Australian country singers using American accents; Nelson Eddy and Janette McDonald warbling; those incredibly sexist 60s songs that now put my teeth on edge. A song that captures family history for you: Flesh and Blood composed by Aussie Shane Howard and sung by Irish singer, Mary Black has been a favourite since I first heard it on the bus to Canberra in 1994. The lyrics are so apt for family history[i]. It’s on The Holy Ground CD. Another might be Graeme Connor’s Let the canefields burn for the changes in family circumstances or Sicilian Born for the impact of migration. If you could only play 5 albums (assume no iPods or mp3) for the rest of your life, what would they be: The Swoon Collection III; Deep Peace; Gurrumul; A Woman’s Heart; Graceland. I had fun, and I hope you do too when you do the meme. Mr Cassmob reckons that if you can remember the 60s you weren’t there. Hah, I was such a sweet young thing in those days! [i] I was however puzzled by an Irish woman singing “if we leave here today we could be a thousand miles away”. It made much more sense when I found the lyrics were written by an Australian. 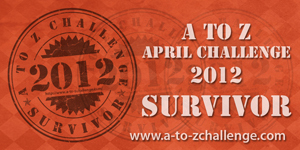 It’s time for my reflections on the A to Z challenge 2012. It’s hardly surprising that my mental soundtrack is the theme from the series China Beach which I’ve been re-watching on cable TV. Anyway, what are my thoughts on A to Z, a week after successfully completing the series? I barely made it into the start of the series, prompted thanks to a post by my geneabuddy, Julie, from Angler’s Rest. With my single-minded obsession on family history, there was no doubt in my mind that my posts had to have a genealogical theme. I chose to write on places of relevance to my family history, not just from the distant past but also more recent history of our own family or that of our parents. Added to that was a dash of straight travelogue but there were relatively few alphabet letters that ended up just being about my second obsession, travel. 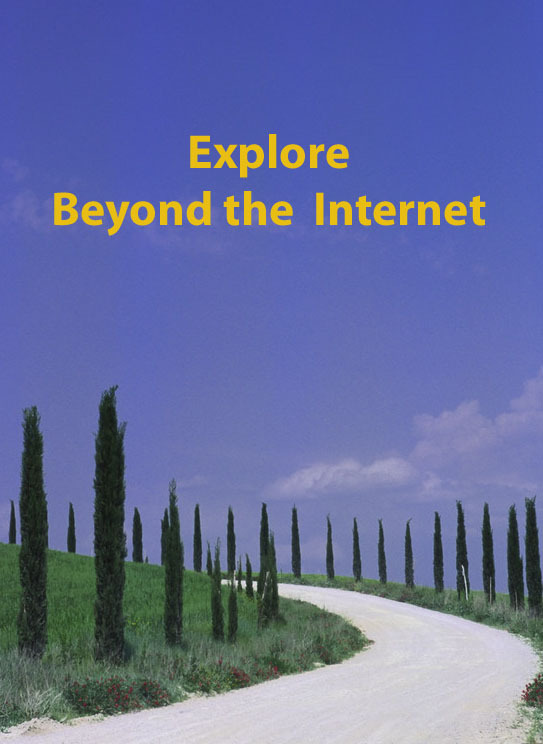 In essence it was a blogging version of Around My Genealogical World in 26/30 days. My plan was to write posts which I could incorporate into a blog-to-book publication which I could give to my children. I’ve already done the first pass of editing on that project but taking a breather for a day or two. The downside of posting, apart from the timeline, was that there was so much I could say on these genea-places and although that made most posts quite long, I opted to go for it based on my overall goal. I particularly admire and thank my mates who hung along through what was a pretty hefty journey. They gave me the added commitment to keep going all the way to Z. Feedback from some of my readers commented on how much they had learned about Australia and Papua New Guinea. With such a specific focus it’s no real surprise that most of my dedicated supporters came from the Geneabloggers community. However I also had support and positive comments from other A2Zers along the way. If I have any regrets over the series, it’s that starting late meant I was on the back foot a lot of the time. Consequently I didn’t get to as many other blogs as I’d have liked, but I did find a few that I thoroughly enjoyed and will keep an eye on. I also want to keep dipping into the other bloggers’ posts over the coming weeks. I’ll be starting with Julie’s ABC Award list. Would I do it again? Yes, if I had a theme I really wanted to follow and also if I had time to support others more effectively. It was fun and I learnt how to do new and different things. I also completed my goal and have a sense of achievement. Thanks to the A to Z coordinators. 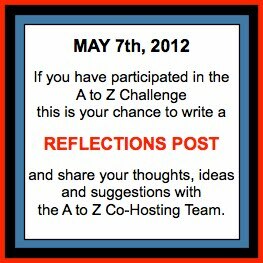 My A to Z posts can be found through this link. My highest rating post (ever and in this series) was V is for the Valiant of Villers-Brettoneux. Regular readers of this blog know of my families’ long association with the railways in Queensland. Today is the Labour Day public holiday in my home state, Queensland, and I’ve been reflecting on this topic since Labour Day itself on 1 May. My father Norman Kunkel worked for the railway from when he was a young lad. Strange to say, although I can access the railway personnel files back through the generations, the current ones have apparently been largely destroyed, and only the staff history card survives with its minimal detail. Consequently what I can tell you will be largely anecdotal or from my own personal experience living in a railway family. Norman left school at 16 and joined the railway as a lad porter. Initially he worked at Landsborough but it wasn’t long before he was back in Brisbane where he remained for the rest of his life. I’d love to give you the details but without the records I’m stuck….he was never one to share much of his personal history apart from an occasional funny story (he was a good yarn-teller albeit keen on tall tales). He was working in the Roma Street shunting yards by the time he met my mother, a typist in the Goods Office. At the time there were a number of his extended family members working in or around Roma St station. Norman worked for the Queensland Railways, in its various incarnations, all of his working life: some 43 years. Throughout much of this time he was classified as a numbertaker. “A what” you say? An undertaker? Oh, and what pray tell is a numbertaker? Well let me give you my simplistic explanation of the job: the numbertaker (aka tally clerk) adds up the freight on each goods train, tallying the loads, the destination of each carriage, and how to ensure that the relevant carriage is linked in the right sequence so it can be shunted off easily when it reaches its destination. It’s easy to see that there are safety consequences too in ensuring the freight is distributed appropriately. I have seen him in my girlhood, add long four digit columns of numbers faster than you or I could use a calculator. When I was a very small girl, then struggling with arithmetic, my father helped me until I understood how maths worked. I have no recollection of how he explained it to me, but from then on it made sense. The number takers must be capable of bearing exposure to all kinds of hard weather and possess the requisite amount of smartness and intelligence to enable them to perform their different duties with the utmost accuracy and dispatch. 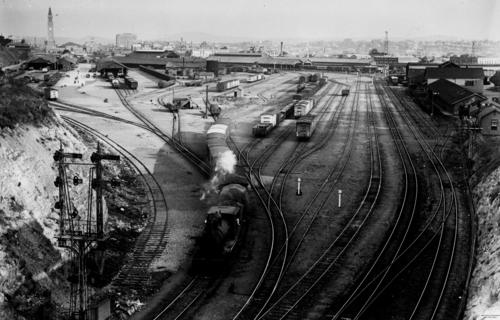 A view of Roma Street shunting yards 1931, John Oxley Library Image 63242. Copyright expired. The numbertakers’ shed was near the bottom right of this picture. How very true this is. 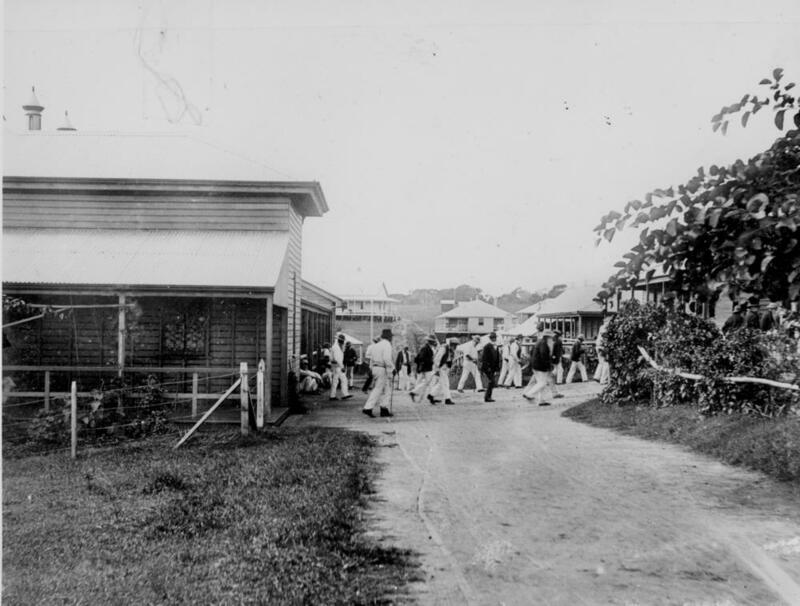 The sheer physical demands on the men were significant: walking miles every day, from Roma St station itself through the Normanyby to the Exhibition grounds and back, in rail, hail or shine, night and day. Add to that their work environment was hazardous in the extreme with potentially lethal trains criss-crossing the yard throughout their eight hour shift. Add to that, in the days of steam trains, they were breathing coal-dust laden air throughout their shift. Add to that the noise of the yard causing industrial deafness. Add to that again, that they were provided with the merest levels of safety, no high-visibility vests, no reflectors anywhere on their dark blue serge uniforms[i], only a couple of overhead lights over the yard (I kid you not! ), and all work done to the light of a kerosene lamp or later a torch. Add to that, in the early 1970s Dad was regularly asked to work 12 or 16 hour shifts. Unfortunately numbertakers belonged to a small union which lacked much muscle consequently their working conditions didn’t get nearly enough attention and their pay was worse than the garbos’. All that shoe leather, his hard work and my mother’s financial management meant that I was able to go to a good secondary school and on to university -the first in our family to do so. For this alone I owe them an untold debt of gratitude. No wonder that every day as Dad rode his push bike (no gears) to the end of the street and turned and waved as he headed up the steep hill, we really never knew whether he would return home safely. Too often he came home silent and shocked and later we’d learn that some young shunter had lost his leg, or his life, or been incapacitated by being caught between the train’s buffers. I learnt early that the worst sign was when a bloke reached down to feel for his leg, meaning at a minimum he had been severely injured. If a numbertaker’s job was hazardous, the shunter’s was the worst in the industry. Would you be surprised to learn that shunting is second in danger only to mining[ii]? I remember in the early 1970s there was a shocking accident in the yards, under the Normanby bridge to Brisbane Grammar when one of the railwaymen was beheaded. The risks were shocking in their consequences. A quick search of Trove using “accident railway shunter” generates 3545 hits. 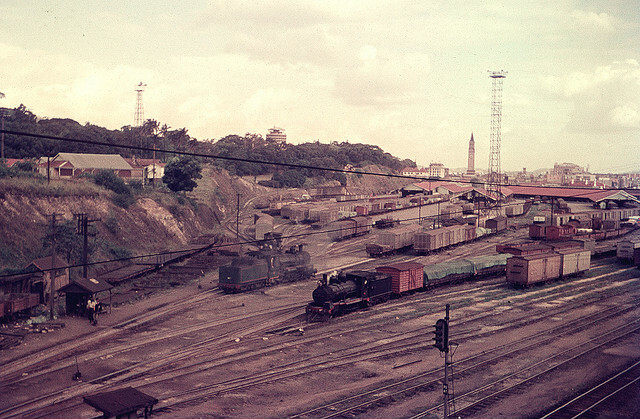 This photograph of the shunting yards c1960 by Leonard John Mathews is reproduced from Flickr under Creative Commons. Thanks Len! Like many other unsung workers in other industries, these men worked shift work, yet another complication in their lives, and to their safety. You knew with railway families not to knock loudly on the door during the day in case the men were sleeping. You also knew how important it was that they got their sleep so it was relatively quiet in the house when it was a night shift roster. Mealtimes and meals themselves were changed around to accommodate the men’s shifts. Birthdays, Christmas and other holidays were all subject to the demands of shiftwork…that’s just how life was. My father routinely worked three shifts in sequence: 6am to 2pm, 2pm to 10pm and 10pm to 6am. On a periodic basis he worked three weeks of afternoon shifts: 2 to 10. I’ve never known why this change of roster occurred, perhaps to give them a break from the destabilising weekly changeovers. An extract of an application by the numbertakers for a pay increase, late 1960s judging on references to decimal introduction. I have the carbon copy of this application so I suspect my mother typed it up. Labour Day was one day when the men didn’t mind working the shifts or being on duty: they got paid triple time for their work, the only day of the year that this occurred. I’ve also talked a bit about my father’s war-time railway service here. 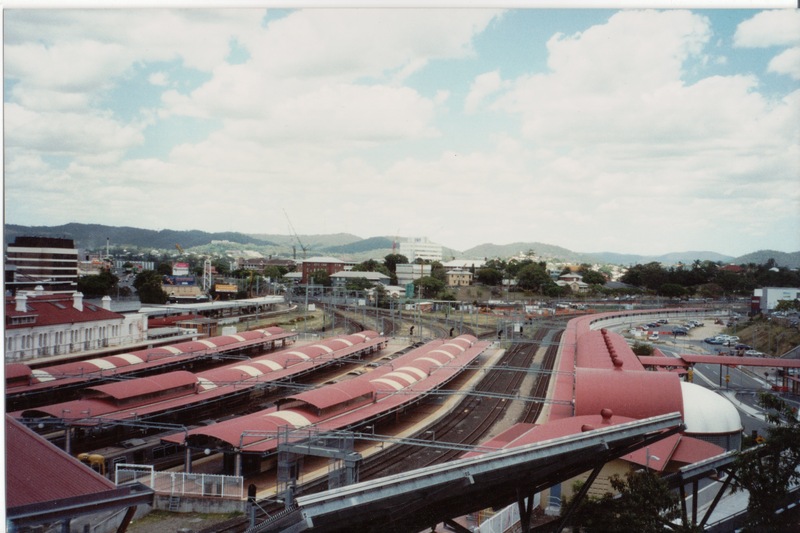 If you live in Brisbane and drive down Countess St heading for the freeway or the city, you will see no sign of the activity that used to be the Roma St Shunting Yards. These days high rise units sit not far from where the numbertakers’ shed was, on the city side of the Normanby bridge. (In the 70s they moved to the other side of the bridge where the interchange is now). Now also the opposite side of the yards have become the wonderful Roma St Parklands. So much history lost behind the urban renewal. The goods trains and all that go with them have moved to Rocklea on the southern outskirts of Brisbane. [i] In 1931, during the Depression years, when my father was a small boy, the men weren’t even issued with uniforms, as an “economy” measure. [ii] I would love to cite the academic article I found this in, but can’t put my hands on it right now.